Noticed the resurgence lately in threaded bottom brackets on new bikes? 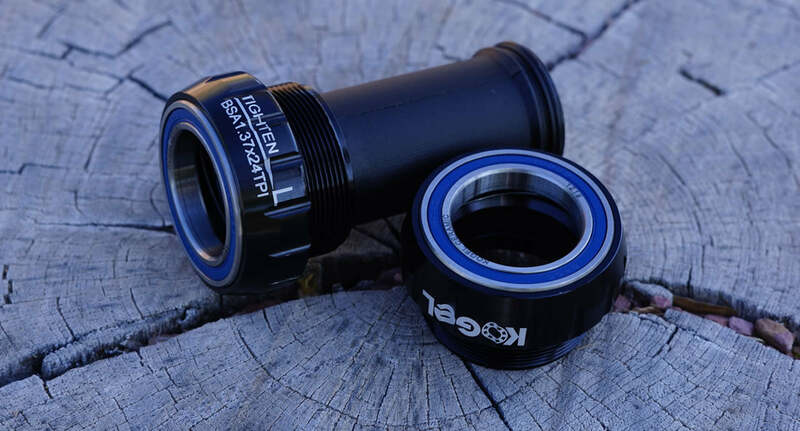 Originally fabricated by the Birmingham Small Arms company, BSA is the classic English threaded bottom bracket standard found on many road and mountain-bike frames. Fancy old terminology aside, BSA bottom brackets are commonly referred to today as BSA, ISO, and English threaded bottom brackets. All are used interchangeably to refer to what is now considered to be a standard threaded bottom bracket shell or bottom bracket. BSA bottom brackets use a 1.375” (34.92mm) diameter shell and employ a 24 thread-per-inch (tpi) pitch thread. Frame shell width is 68mm for road bikes and 73 or 68mm for mountain bikes. Riding a mountain bike with a threaded bottom bracket? Click over to our page dedicated to MTB BSA bottom brackets. Like pedals, the left side of a BSA standard bottom bracket shell is reverse (left) threaded reducing the likelihood precession could occur. Still need help finding the right BSA bottom bracket for your road bike? Send us a note and we'll be happy to help you find the exact bottom bracket for your frame.